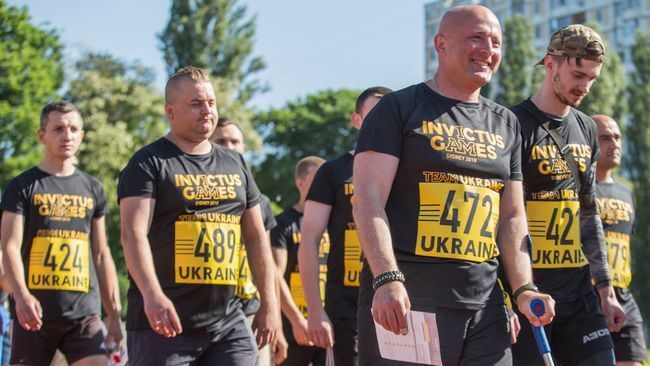 Kyiv recently hosted the qualifiers for the Sydney Invictus Games, involving 175 contestants. Even though only 15 will be there to vie for the medals, each athlete deserves every praise as a personality who, despite his body injuries, has mustered up the courage to return and adjust to what we know as normal life. Below are interviews with several contestants. He’d wanted to serve in the army since childhood. As a college student, majoring in military oriented mathematics, he realized that the army was his destiny. In 2009, he signed up for the State Border Guard. In 2014, before Russia’s aggression, he was posted to Kholodne, a township bordering on the Russian city of Taganrog. Then the war began and he sustained jaw and elbow joint wounds. Serhii SHYMCHAK, sergeant (ret. ), sniper. In 2014, he joined a volunteer battalion that eventually became part of the Armed Forces of Ukraine. He took part in combat operations until 2015, spending 12 hours lying, camouflaged, waiting for his target at times. Then he was almost completely paralyzed and his sniper’s perseverance helped him get back on his feet. When he first got to his feet from the wheelchair, he said he would practice it, as often as possible. Eight months later, Serhii could walk and then took part in an Invictus Games archery competition. Eventually, he won the archer’s silver and the cyclist’s gold medal. Anatolii HRYHORASH, Ukrainian army veteran. After this interview with The Day, Anatolii did his 100 and 400 m races, winning two gold medals, along with a cycling bronze medal. Volodymyr VOROPAI, Ukrainian army veteran. When the war began [in the east of Ukraine], he went to the local military registration and enlistment office and signed up. One of the reasons was the death of his relatives while on a volunteer mission. The war and his wounds appear to have served to enhance his love of life. Volodymyr started by vying in the Heroes Games. Then his friends told him about the Invictus Games. He has been an active contestant for two years. This year he won a bronze shot put medal. Ukraine’s national Invictus team’s membership will be officially announced on June 1, but the results of the events in Kyiv are sure to have an impetus, considering that the athletes vied for 60 medals in eight standings: track and field (racing, long jump, shot put), road cycling, simulated rowing, archery, power-lifting, and swimming. What happened on Black Thursday, February 20, 2014?